Concealed within an extraordinary-looking piece of machinery is Magneto in his surprise attack battle base! 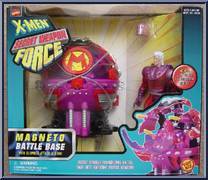 Appearing to be nothing more than a lifeless piece of equipment, Magneto’s battle bas. 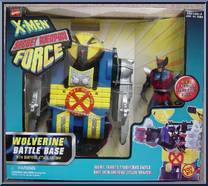 . .
Hidden inside a simple-looking machine is Wolverine in his surprise attack battle base! Appearing to be nothing but a harmless instrument, Wolverine’s battle base conceals not only our hero, bu. . .